The last couple of days I’ve been tested. Every time I think I’ve battled my fears, they just pop up in a different form. I took an airplane alone with my two young children, thinking I would be home in time for dinner. The plane got in unpredicted bad weather, circling around the airport in turbulence for an hour waiting for better circumstances to land, while running out of fuel. I got scared. And when no solution seem to come and crew got more than disturbed, I got quiet. Really quiet. As did the other passengers. I remember being more surprised than afraid. This is what you do when you know it’s over. You go within, you want to be quiet. You wait. I couldn’t believe that this is what I was doing with my last minutes: nothing. 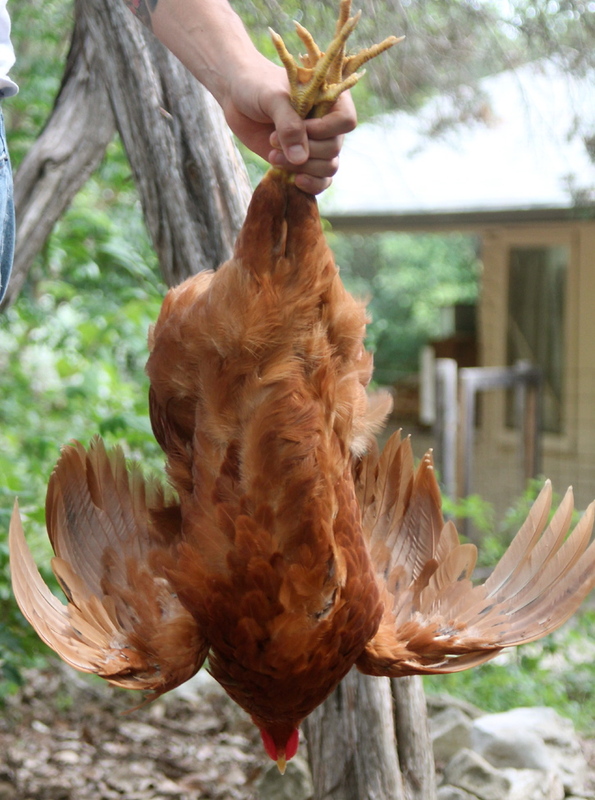 Last week I helped my neighbour kill three young roosters. They have been attacking and killing some of the hens. He asked me if I would help, and being a vegetarian and meat skeptic for years, I decided I would go along to see the truth behind meat. The roosters panicked when he came into the henhouse. But as soon as he got them by the paws and hung them upside down, they were completely quiet. They hung still and didn’t move a feather. They knew it was game over. They waited motionless for the axe. Our axe never came. The pilot diverted to another airport just in time. While we finally landed I held my child and thought who I was going to thank for this outcome. The God’s of Travel, the God’s of the Sky, God himself, my guardian angels. The man next to me who kept telling me to have faith. The pilot. The aircraft. Everybody who kept me safe. How my life was going to change. When I came home late at night in a broken rental car, I forgot to thank anyone. Instead I started blaming myself. For being so scared. For breaking the car. For asking my neighbours for help. For getting so carried away in my misfortune. For calling the creche to tell them my child wouldn’t be coming in the next day. I felt like a horrible person. I was afraid I had made the worst out of a bad situation. FEAR = False Emotions Appear Real. And at these weak moments I took all the false emotions and made them all real. In stead of being the happiest person alive, I was afraid and full of guilt. Fear is feeding more fear, always finding a new door to enter my life all over again. 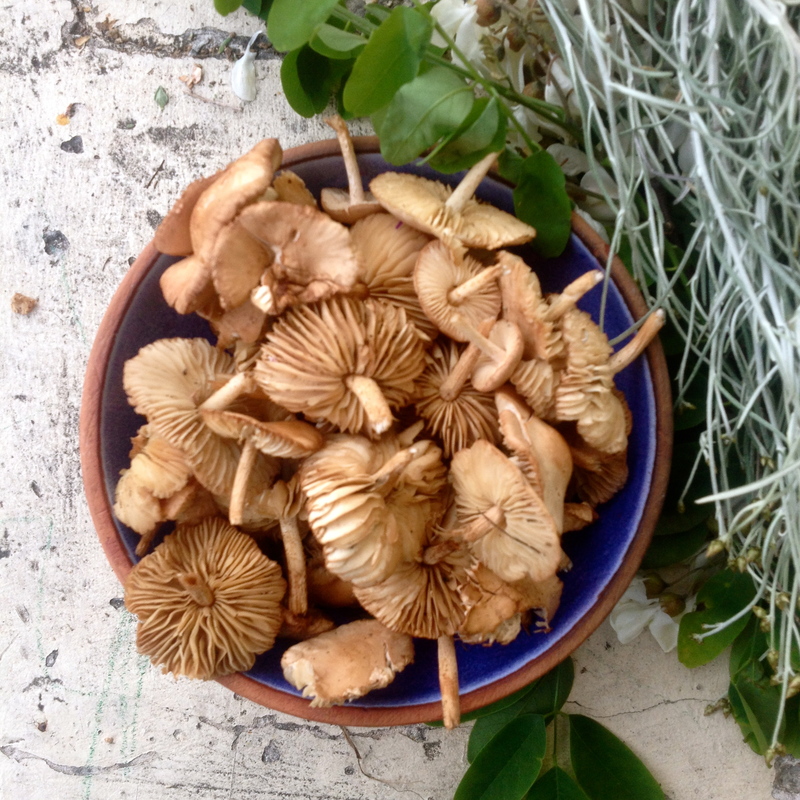 So when I found beautiful mushrooms behind our house, I asked four experienced people if we could eat them. They all said certainly sans soucis. But they are still in my fridge, next to the skinned rooster. Because I’m too afraid.